There’s no other way to say it: Making sense of the madness that is transportation in Rio de Janeiro can be overwhelming. Many travelers, slightly confused and often intimidated, end up paying way more than they need to while getting to and throughout Rio de Janeiro simply because they don’t know what their options are. Here, we’ve laid it out plain and clear for you- How to get to the city from the airport, how to travel between Brazilian cities on a budget, which type of taxis are safe, and why public transportation is often the best option. 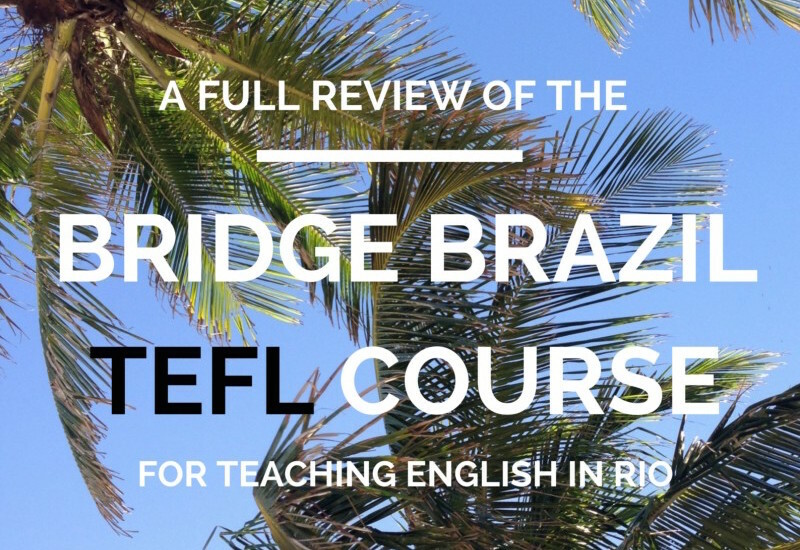 Getting to Rio de Janeiro, either from another Brazilian city or outside the country, is incredibly easy as it’s Brazil’s most popular destination. While long-distance buses are the go-to for many backpackers and budget travelers throughout the rest of South America, things are a bit different in Brazil. Buses throughout Brazil are usually more expensive than flights, and can take multiple days to travel between cities. If booking in advance, flights are almost always cheaper (and easier); if you are booking things at the last minute though, high flight prices may surpass the bus fares though. You should always compare both when making your plans- you may be surprised by which is the better deal. By bus or plane, you’ll see that transportation to and within Brazil is much more expensive than other parts of South America and there isn’t really any other way around that fact. If flying, GOL and TAM are the two major airlines, and both offer a ¨Brazil Pass¨ that will give you decent discounts if you’ll be flying to multiple locations in the country. If you know you will only be flying, visiting several cities, and want to plan ahead, these are great deals. You buy it (similar to a Eurail Pass) with a set number of flights, and can choose your destinations within the set time. If you are taking buses, the rates are pretty consistent regardless of when you book, so you can usually look up the costs from Rio to Sao Paulo, for example, and know what to expect at any given time (even during peak seasons). The prices may be slightly different depending on the hour or day, but don’t fluctuate very much. They are usually the exact same price at every company, so you don’t need to waste time running around and comparing. The buses within Brazil are surprisingly nice and comfortable, so at least you’ll get more while you’re paying more! If you are traveling with flexible plans and want to fly, then the cheapest (and most exciting) way to travel would be to keep an eye on airline deals. Crazy cheap spur-of-the-moment flight deals are common in Brazil, and you can either sign up for emails from the main airlines or use websites such as Skyscanner to be notified when they happen. Like many airports in South America, Galeao offers taxi services that can be booked inside at booths right next to the exit doors. These are all safe taxis called “radio taxis”, because they are connected by radio and their location is monitored. They are usually R50 or so more than taking a random yellow taxi off the street, and prices are calculated based on distance and paid in advance. While some cities play off of foreigners willing to pay for a sense of security, this is a situation in which it may be worth it, especially if it’s your first time to Rio. 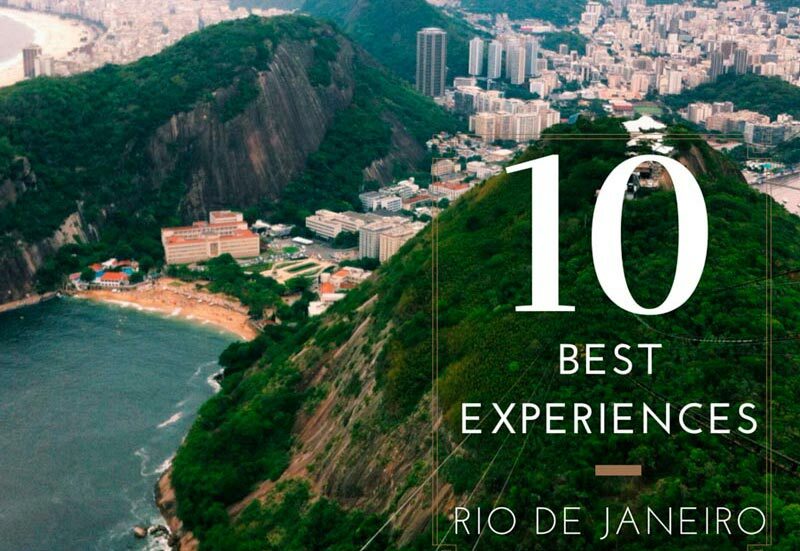 The reason being that this airport is actually quite far from most tourist areas, and you’ll pass through some of Rio’s tougher neighborhoods on the drive (nothing to be worried of, but this is why most foreigners choose this option). If you’re a seasoned traveler and just want the cheapest deal, then you have the option to walk outside past the radio taxi booths and into the throngs of drivers fighting over taking you. Taxis here should run on meter, and usually come out to about R40-50 to areas near Copacabana and Ipanema, but if you speak no Portuguese you can probably count on going the long way. This can get your fare up to R80 or so very quickly. If the driver doesn’t put on the meter or tries to set a price before, make sure it is in this range or ask him to turn it on. Be aware that in peak times like Carnival and New Years’ (and the upcoming Rio de Janeiro Summer Olympics), the drivers will almost always only run on set prices that can be much higher. Radio taxis will charge solely on distance from the airport. Your other (and cheaper) option is taking the shuttle bus, a big blue charter bus that picks up directly outside the airport exit. This bus is specifically for airport transfers; no city buses will pick up close enough to the airport. It costs about R15 to areas such as Copacabana and Ipanema, and is completely safe, but of course isn’t as quick as the taxis. Usually, you have the option to tell the driver the address of where you are going and can be dropped off there, or at least very close. Also, be aware that if you are arriving in Carnival, you need to enter the city before the official Carnival starts, usually on Thursday. Once it begins, the traffic is unbelievable and many roads will be closed due to street parties. This airport, in the neighborhood of Flamengo, is already in the tourist section of Rio de Janeiro. From here, you are perfectly fine taking a cab from out front, and can access the beaches of Ipanema in Copacabana in under 15 minutes (without traffic). The cost should be R20-30, but if you don’t speak Portuguese, you can count on them taking you for a long drive that will get up to R50 or more. Our favorite option from both airports is this shuttle. With the same set price of R15, you will be taken directly to your hotel door. When you exit the airport, look for a blue charter bus, or ask the Information booth (they speak English!). Give the driver the address you are going to, and you and your things will arrive quickly and safely. The maximum it should take you anywhere is about 1 hour, if the bus is full and there are many stops. When you arrive at the inter-city bus terminal, you’ll be far from the main tourist areas but much closer than the International airport. Taxis are expensive from here, and can be hard to get at busy or late hours. If you take a taxi, you will only have the option to get one off the street. These yellow cabs can range anywhere from R30-70, and are not regulated by anybody. If arriving late, this will be your only option (which may impact how you choose your bus times). Many travelers take them, but if you arrive during the day we recommend choosing the bus. Right next to the long-distance bus terminal is the city bus terminal. Well, a five minute walk across and down the street. If arriving at odd hours, it’s not recommended to walk this area if you aren’t familiar with it and buses may not come for hours. During the day, buses go in and out every few minutes to the main tourist areas. When you exit the long-distance bus terminal, turn right and then cross the street at the first crossing (to the left). You’ll notice more crossings ahead that go somewhat diagonally from where you started. If you’re here during busy hours, you will clearly see the many buses pulling in and out of the terminal ahead, and that is where you’re headed. Look for a bus with the name of the neighborhood you are going to, tell the driver when you get on to confirm, and ride into the city for only R3 ($1USD). 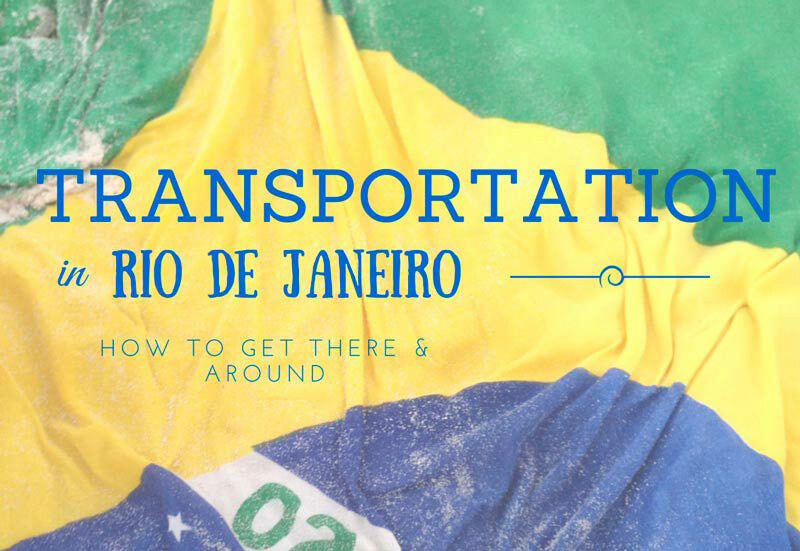 While in Rio de Janeiro, many wonder how to get from place to place. From the beach to downtown, from their hotel to a museum, etc. You have several options beyond just taking taxis everywhere as many visitors think, and anyone staying more than a few days will find they can be even easier than sitting in the infamous Rio de Janeiro traffic. If you’re moving between main areas, and are up for the challenge of the metro, this is the ideal option. For R3.50 (but always increasing), you can easily hop on and off. It’s comfortable, air-conditioned, and if you’re half-decent with a map you’ll be able to easily wander around and find your way back to the nearest stop at any point. There are only two lines, and if you’re staying in the popular areas of the South Zone (most travelers), then you will only ever use one. Easy! Keep in mind you will need to get a card, but they sell one-time-use passes which are great for travelers. Buy two (for a round trip) at once to avoid long lines to buy tickets at the end of the day. If you’re staying for longer than a week, buses will be your friend because they service almost every inch of the city unlike the metro. They’re cheaper at R3 per ride, and can take you to every secret local beach, neighborhood within another neighborhood, and run much later than the metro (perfect when you’re heading back from a night out and don’t want to pay the increased nighttime fee of taxis). But, they’re infamous for driving like madmen (they get paid per routes completed, not by the hour…), and unless you know the numbers of them, you can end up going a very long way before you get where you want to. When heading out for the day, you can ask your hotel or hostel which will get your there quicker, and then alternate between buses and the metro. Buses do not require you to have a card- you pay per cash per ride. While some think taxis are the safest and most comfortable way to get around, you may be surprised here. During later hours, we recommend taking public transportation over taxis (unless it means waiting at a bus stop at 1am alone), and during the day they run the risk of getting stuck in heavy traffic (in which case you’ll be best on the metro). If you are someone prone to getting lost, don’t feel comfortable navigating public transportation, or prefer taxis for whatever reason, they are plenty and any hotel or hostel can call one for you in minutes. If you’ll be using them a lot, we recommend downloading the EasyTaxi app. Even if you don’t have wifi on the streets, you can use it from your hotel at least. Keep in mind that taxi meters start higher after 11pm, and increase based on the number of people in the car. Most taxi rides (unless within a neighborhood) will cost about R15 and up. Have any questions about your travel plans and which mode of transportation will work best for you? If we haven’t cleared it up for you above, we’re happy to help out below. Comment with your questions and let us help you navigate the madness!